I participated in #CLMOOC (connected learning MOOC) in the summer of 2016, at least a little bit (see a couple of posts in the CLMOOC category here on my blog). I created a “Find 5 Friday” post on Storify during that time, and as Storify is shutting its doors and deleting all content in a week or so (May 2018) I’m archiving important stories from there, here on my blog. So, this is from July 2016…. If you click on the link to the G+ post above you can see the very apt image she posted, with these lines superimposed on it. I found this very thought-provoking, and wondered what prisons I am staying in, even without realizing it. That is a theme for my #F5F (of which one is the Nazife’s post!). Some of the prisons I’m in are based in fear, so the following are ways I got past that this week. Terry Elliott wrote a post in which he claims he “stole” a poem from Deanna Mascle and made something new from it. 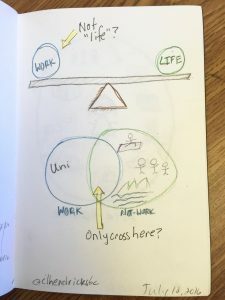 He asked on his Google Plus post about this post, “We are collaborating with our #DailyConnect , but…what if the collaboration is unbidden.” He didn’t ask, he just took the original and made something new. That’s something I’ve very familiar with from #ds106–taking what someone else has created, even without asking, and making something else. It’s part of the culture of sharing and making there. So this wasn’t surprising to me. And what was really cool is that Deanna had made her original picture from words she collected from others in CLMOOC. Talk about collaboration! Deanna’s also a great post on its own, putting together many people’s contributions to week 1! It’s a great example of showcasing what others have done and doing something wonderful with it. What was surprising to me was that even though at the end of his post above Terry invited us explicitly to collaborate on his own poem made from Deanna’s picture, I was really wary about doing so. Here is the Hackpad he invited us to play on. I did add some things and created a section of the pad that could stand on its own as a poem, but I left the rest of what he had written at the bottom, as if afraid to touch it. As if I shouldn’t really mess with it. Sure, it was partly to leave it in case others wanted to use that part and make something new, but really it was because I felt very awkward taking someone else’s words and changing them. And that’s strange to me because I do it all the time with pictures in #ds106, but somehow with writing it felt different. The words felt like they were more attached to the person and I shouldn’t mess with them. Even when Terry explicitly said to do so! But I got over that and did it anyway, at least to some degree. So I got out of that “prison,” so to speak. I found this really important to consider. I am an extrovert online, someone who puts herself out there in many ways and hopes for the best. This week I shared my very personal grief over some of the horror that has been happening in the world this summer, as I struggled with my emotions on one of the days this week and decided to do a drawing to try to express them. I was a little worried about sharing that pain and that drawing with strangers, but I decided to try and got wonderful support back (and even Daniel Bassill making a remix of my drawing, which helped me immensely). I appreciated the reminder that some people find open, online courses difficult and can get lost in the flow, feel somewhat left out when others seem to know exactly what to do. What I can say, though, is that so far I am finding CLMOOC to be a very inviting space and I hope that people who might otherwise flounder a bit can find their footing here in this kind, supportive, open and fun group! I also loved Karen’s stories about the unexpected smiles she shared one day, one through Pokemon Go and one just from someone on the street who wished her a good day out of the blue. Knowing that that still happens, and there are wonderful people in the world, was something I needed to hear this week. One of the #dailyconnects for week 1 was to explore one’s edge. What is your edge and how do you approach falling off? That resonated with the theme I’ve chosen for my #F5F this week, of what prisons I find myself in based in fear. Sheri Edwards created a lovely picture in which she explores her own edge. Sheri talks about going over the edge of shyness, and realizing that when you fall off, that is when you can fly. And grow, and change. One of my edges currently is with drawing. It’s something I’ve always thought I just couldn’t do, even while others could. Recently I decided to, well, just start and practice–because how can you get good if you never do it? That’s one of my edges I’ll be pushing in #clmooc this summer, and I’m glad to have a supportive and kind bunch of people to push it with! This summer has been tough. Hell, this year has been tough. Okay, this lifetime. But it seems there have been more and more reports, each week, of atrocities around the world. And each time they hit me hard. Somehow the attack in Nice, France on Bastille Day 2016 hit me the hardest. Maybe because it was a family event, a happy and fun event I can imagine my family going to anywhere in the world. Maybe it was the extreme violence of it. Maybe it was just because it came on the heels of so much else. But it’s really hard for me to take. So I decided to draw a picture. Maybe art therapy would help? It helped a little. I was trying to express my crushing sadness without letting it crush me, while also reminding myself of hope and work to be done and beauty and love that still exist and that we must cultivate. 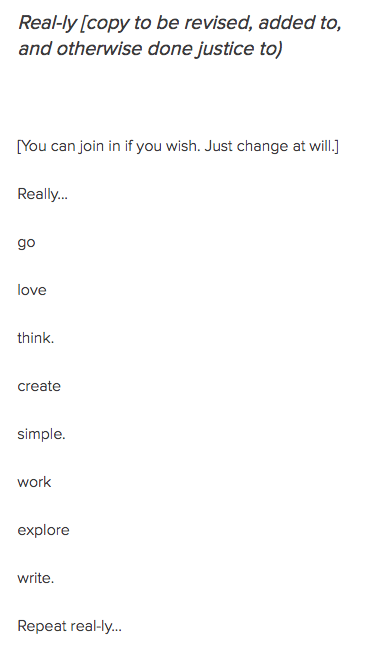 I also took up an invitation to participate in a collaborative poem through #clmooc, on this post by Terry Elliott. He had taken a poem by someone else and focused on a few words. 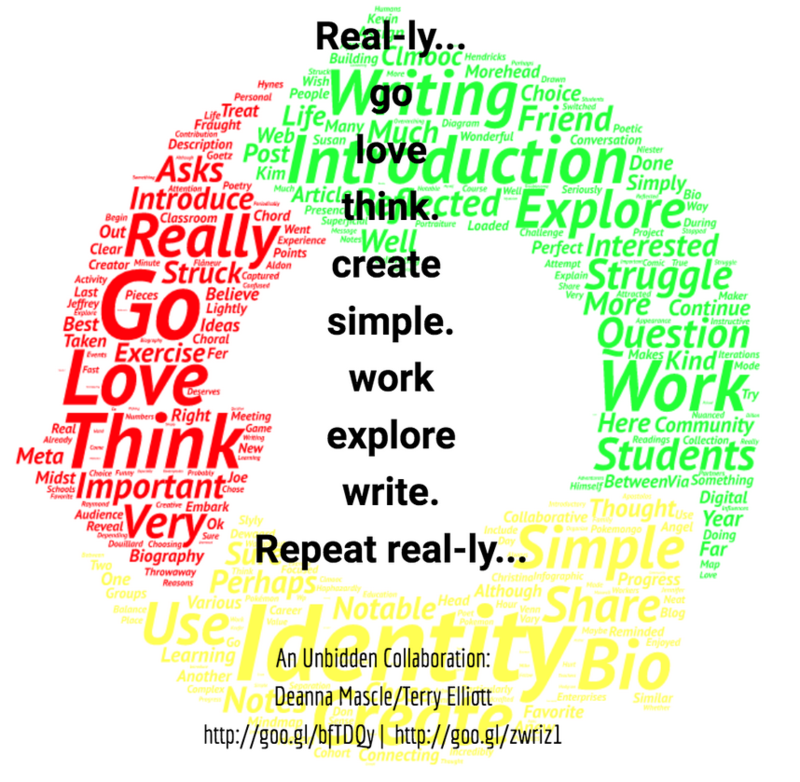 Now, this original creation (the words in colours) came from work many of us did in #clmooc. See Deanna Mascle’s post about it. Then Terry invited others to play with his creation on a Hackpad, so I did. And the result kind of resonated with my feelings today and the image above, without me trying to have it do so. I kept focusing on the words “struggle” and “love,” and realized they can go together and help me think through my pain and outrage. Struggle and love. So I, too, took words from the picture and then added them to Terry’s chosen words. I then left some of it for others to play with, later. 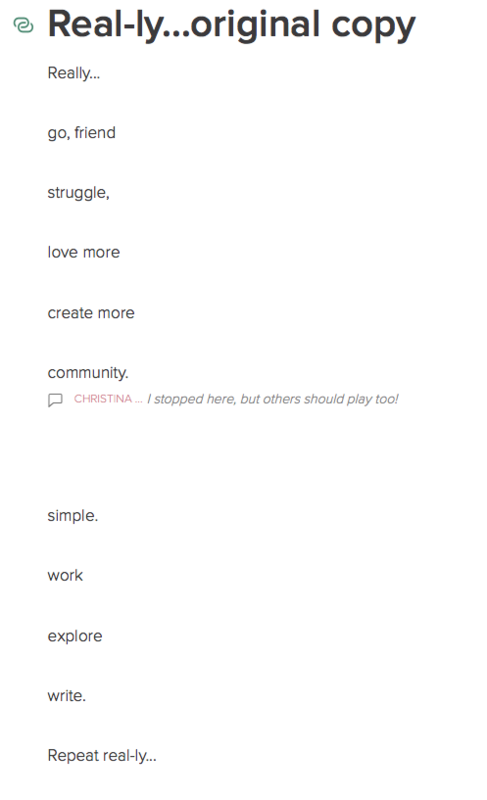 The first screenshot below is Terry’s poem; the second is my additions (at the top). I have to say, doing all this today has helped me feel a bit better. Especially the part where I am in a collaboration with others to make things, things that make you think, that invite others to join in. That’s really what I need right now. Maybe many of us do. Daniel Bassill added to my drawing in a fantastic way that extends its meaning and impact. Please see here! Having someone else resonate and connect and extend what I did is amazing. Thank you, Daniel! 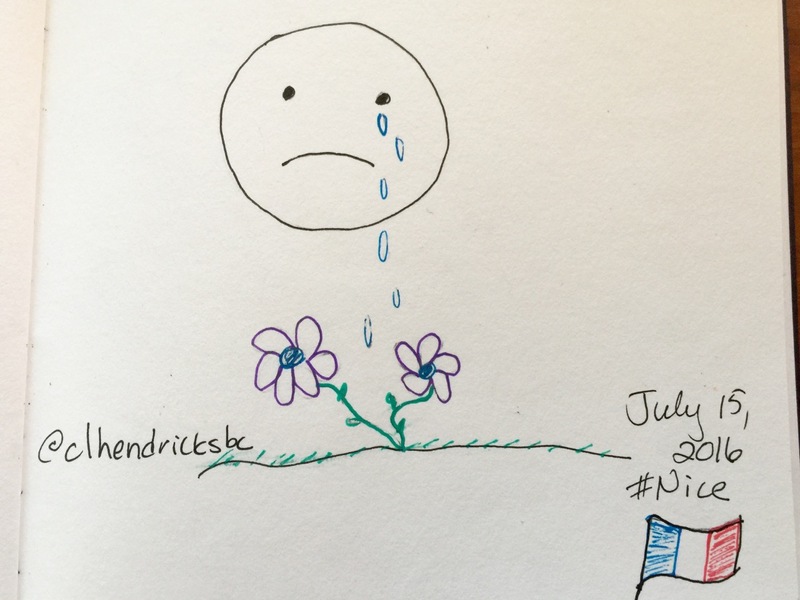 Posted in clmooc and tagged drawing on July 15, 2016 by Christina Hendricks. I have sometimes participated off and on in #clmooc–Connected Learning MOOC. This is an open, online course that’s about connecting with others and making things. I don’t know how much I’ll be able to participate this year either, but I’ll do what I can! The first “make cycle” is all about introducing ourselves and getting to know others. We were encouraged to introduce ourselves in one of numerous ways. I’ve recently been trying to practice more drawing because it’s the one thing in my life I feel like I just “can’t” do, and that poses a challenge–well, I won’t be able to unless I practice more! And I got inspired to do that at the Sketching in Practice Symposium at the end of June. So I decided to do a drawing. 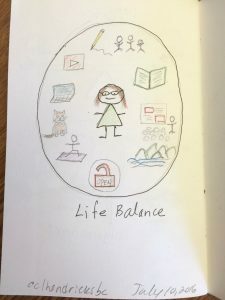 I was inspired to do this particular one after reading a blog post by Helen DeWaard called “The True You: Iterations of a Bio.” She reflects on bio statements and how we craft different ones for different purposes. When I thought about this, I realized that most bios I’ve written are still just about my professional life. Maybe that’s because the contexts are somehow related to my professional life, but still. I feel like that aspect of my life takes over a lot of the rest of it, too often. 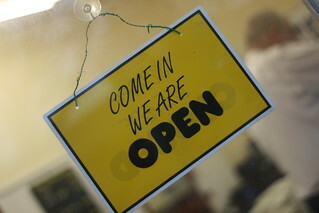 When it comes to social media, your bio is part of your presence. Do you reveal who you are or what you do? Is there a way to reveal both? Mostly I reveal what I do. Or what I care about, but even then it’s related to what I do. Thinking about these things, I came up with a series of drawings to act as a preliminary intro to me. To who I am and what I do. Or maybe just what I do but not all about work. I still haven’t decided how to reveal “who I am.” Or really, who that is. Posted in clmooc on July 11, 2016 by Christina Hendricks.